A new decal sheet from Dave Roof’s Flying Leatherneck Decals and this time they are for the Sikorsky CH-53E Super Stallion. 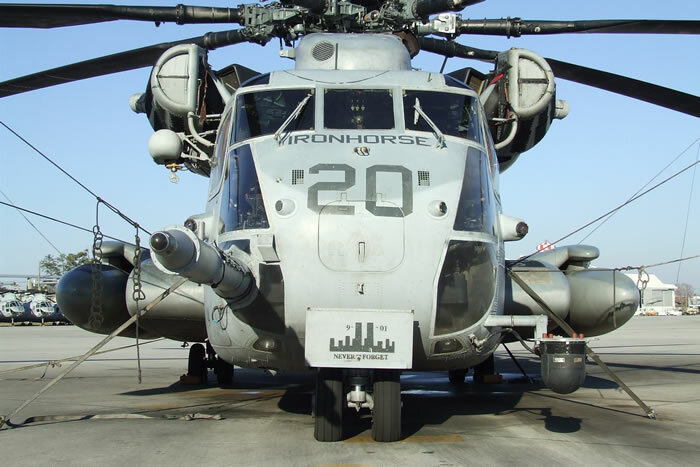 Decals for helicopters are thin on the ground to say the least and decals for CH-53s are even harder to find. This new sheet goes a long way in redressing the shortage and it will be especially welcomed by those who have purchased the superb 1/48 scale Academy CH-53 kit which the decals are intended for. CH-53E Bureau number 162526 modex 16 of Marine Heavy Helicopter Squadron-461, (MHM-461) based at the Marine Corps Air Station (MCAS) New River, North Carolina circa April, 2008. The machine is finished in a two-tone camouflage scheme of Federal Standard (FS) 35237 medium grey upper surfaces over FS 36375 light ghost grey (as are all the options on the sheet) and apart from standard markings (branch of service, national insignia, air wing designators etc) wears squadron applied insignia comprising of a New York skyline with the words NEVER FORGET underneath it on her nose gear door and the name IRONHORSE across the front of her nose. CH-53E Bureau number 163062, modex 20, High Maintenance. Another MCAS New River based aircraft belonging to MHM-461 from April, 2008. 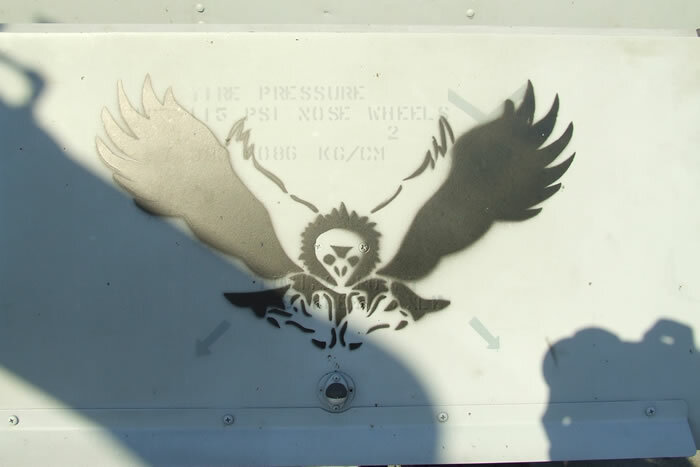 Standard and squadron markings are the same as the previous machine and it wears artwork on the starboard entrance hatch comprising of a red head wearing a polka dotted top and skirt. Her other unique marking is that her starboard CJ airing indicator is canted rearwards rather than being in the standard “block” font. 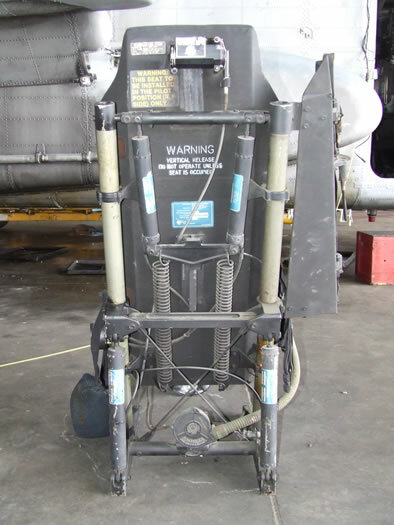 CH-53E Bureau number 163063, modex 21, the third and final MHM-461 option. In the same markings as her two squadron sisters but lacking any form of artwork. CH-53E Bureau number 161533, modex 08 MHM-464 CONDORS; also based at MCAS New River in April of 2008. This option wears the name CONDORS across the nose, a stylised condor with outstretched wings on the nose door and a shamrock on both sides of her tail as a part of her squadron applied insignia as well as artwork on her starboard hatch comprising of a charging “Navy Goat”. CH-53E Bureau number 162001, modex 11 MHM-464, at MCAS New River, North Carolina in April, 2008. In the same markings as the previous MHM-464 option with the exception of the artwork on the starboard hatch. 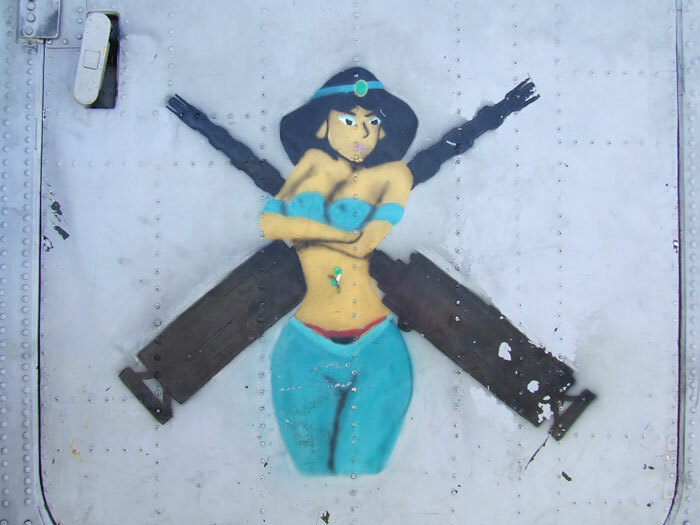 This time the artwork is a cartoon character “Princess Jasmine” from the 1992 Disney cartoon movie Aladdin standing in front of what look to be a pair of crossed .50cal machine guns. This marking, as well as the “Navy goat” and the “High Maintenance” markings from the previous options are two-part decals that have you applying an opaque white decal first before applying the second “colour” decal. The colour decals have been produced by Archer Fine Transfers. 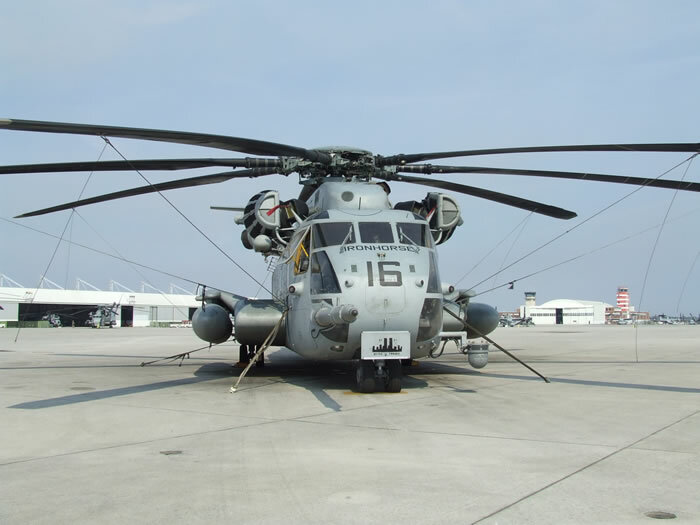 CH-53E Bureau number 162481, modex 12 from MHM-464, based at MCAS New River in April of 2008. A plain bird in the same basic markings as the previous option less the door art. CH-53E, Cadillac 21, Bureau number 162521 of MHM-461, 22nd Marine Expeditionary Unit (Special Operations Capable) Embarked (MHM-461 22nd MEU (SOC) EM and attached to Marine Medium Helicopter Squadron -261 (Reinforced) HMM -261 Aviation Combat Element (REIN)ACE 21 MEU(SOC) – now that’s a mouthful! This bird is in standard markings with squadron applied markings comprising EM air wing indicators, “girlie” door art with the words “PAYBACK CAN BE A REAL PAIN IN THE ….” over the top of a New York Skyline, ground crew names on the starboard side and “bulls head” artwork on the port side – note that the placement guide advises that this marking may not have been carried. CH-53E Cadillac 22 - 22nd MEU (SOC) EM 22 Bureau number 161955 Marine Heavy Helicopter Squadron-461 attached to HMM-261(REIN) ACE. 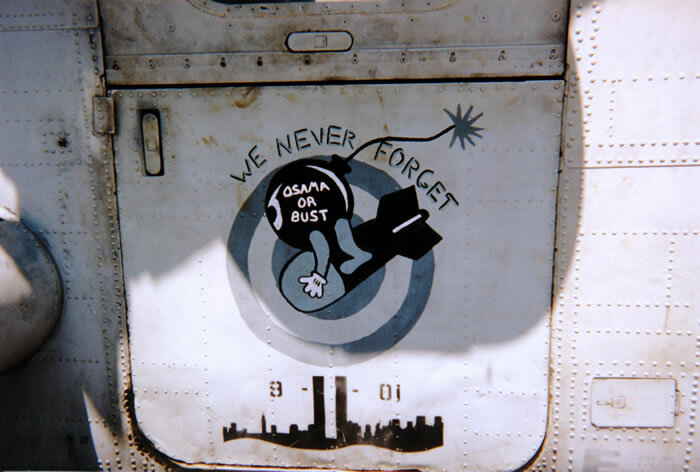 This final option carries the same squadron markings as detailed above with different door art – an old fashioned bomb with the words “OSAMA OR BUST” on it riding a modern bomb with the words “WE NEVER FORGET” above them both over a New York skyline – and different crew names. The decals (apart from the previously mentioned Archers ones) have been printed by Cartograf. No stencil data (apart from Bureau numbers) is supplied at all so you will have to rely on the kit supplied stencil data which is quite substantial! 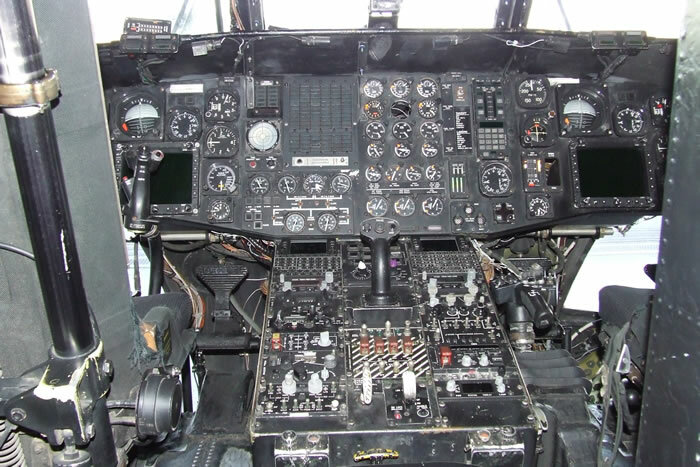 29 images of the cockpit that show a complete “walk-around” of the cockpit. 105 “general airframe” images. 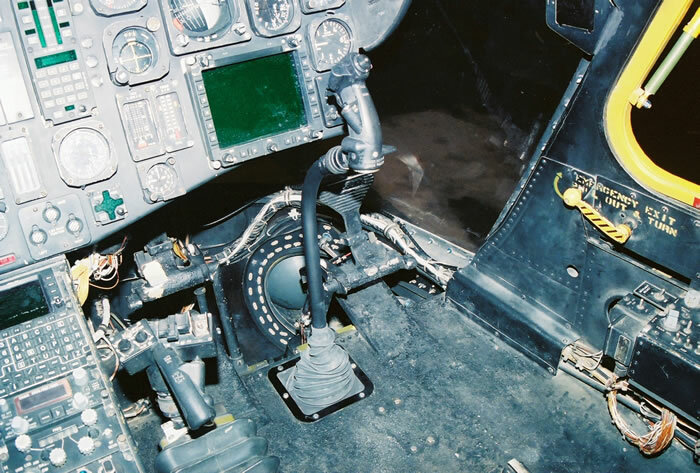 This folder contains further cockpit shots as well as a compete walk around of the entire machine as well as close-ups of the pilots seats taken whilst they are out of the aircraft and on the hangar floor. 32 images of MHM-461 aircraft including the three decal options - including nice large ones of the nose gear door and fuselage door art. 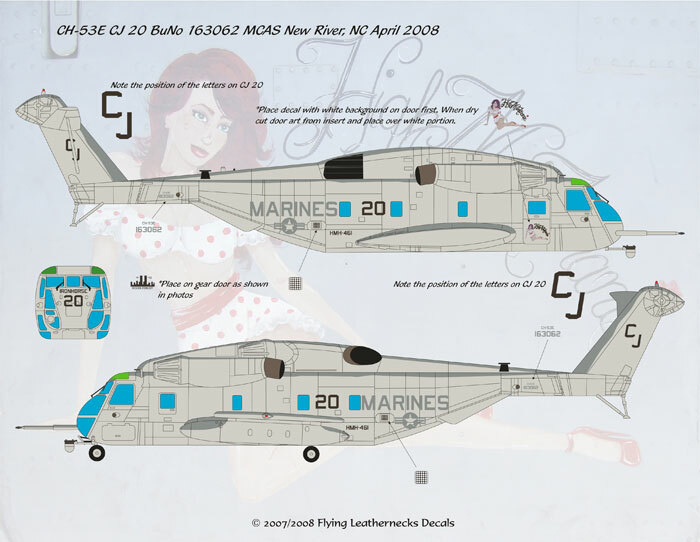 24 images of MHM-464 aircraft, again, they include the three decal options - including nose gear door and fuselage door art. 23 images of the Cadillac 21 and Cadillac 22 option including large ones of the fuselage and door art. Further reference material is in the form of a single sheet that lists available aftermarket sets for the Academy CH-53E kit. The decals, CD, and aftermarket reference sheet come packed in a clear plastic zip-loc bag along with a thick cardboard header to stop the decals from being creased in transit. All up, as far as I am concerned this is a great deal from Flying Leatherneck decals. It provides you with right up to date markings and excellent reference material. Thanks to Flying Leathernecks Decals for the review sample.